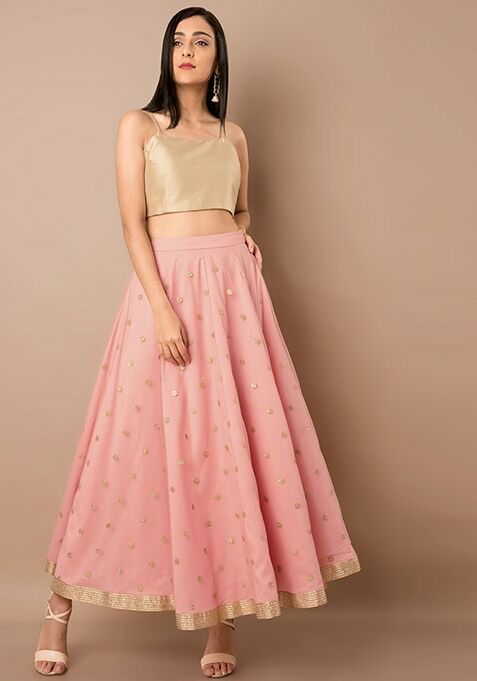 Add some refreshing pieces to your ethnic wardrobe this festive season, starting with this pink sequin mesh maxi skirt. Featuring subtle embellishments all over, this skirt is perfect to be teamed with a floral crop top. Work It: Stay at ease by styling this gorgeous skirt with a cropped top and a dupatta.